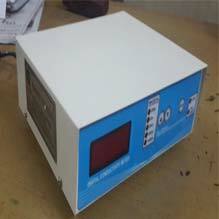 Digital Water Analyzer consists of TDS and manageable temperature compensation to maintain accuracy. It has a function of automatic power off with disable feature. Complete with Conductivity cell and 39" (1m) cable, 9V battery, and soft case. It requires low maintenance, the convenient design. These Equipments are designed in such a way that they are easy to use even in the harsh environments. They are waterproof and have enough memory to store the data.